We help you become an ordained minister, so that you can found your own Church or ministry, start a Spiritual Healing Counseling Center, Incorporate as a church and become tax-exempt, thus being able to accept donations for your spiritual services. For two decades now the Seminary has helped clergy get ordained and start their own churches and spiritual counseling / healing practices. Online here since 1999 we help you with all the paperwork to become ordained legally in three easy steps. You can then start the spiritual teaching and counseling, accept donations, and do the clergy work you have always felt called to do. When ordained by us you become a wedding officiant at the same time, and can perform a wedding or weddings. You will have the legal ability to officiate marriages in all 50 states. Some of our graduates have set up their own online and telephone spiritual counseling service (for example on Keen dot com) to compliment their live in-person house church, wedding chapel or ministry. 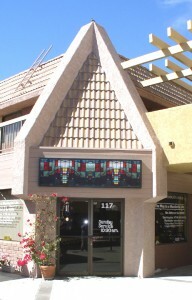 A few have established spiritual healing centers where people come for all manner of spiritual services. There is a great need in our uncertain times for alternative clergy, spiritual practitioners, ministers, rabbis, and anyone who can provide the public with the spiritual services mainstream churches, temples and synagogues deny them because they are not a member. The Seminary also offers religious doctorate degrees such as the PhD in Religion, Metaphysics, the Doctor of Divinity, and Doctor of Theology (Th.D.) to those who want to enhance their minister credentials with a degree and the status of spiritual doctor. Free ordination with every degree if you are already not an ordained minister or other clergy. This entry was posted in Become Ordained, Non-profit Tax Exempt Religious Organization, Spiritual Healing or Counseling Center on May 23, 2014 by admin.